How to set up a business in Luxembourg? The objectives of the British Chamber of Commerce for Luxembourg are to follow and influence developments in the economic and business world in Luxembourg affecting members’ interests, and so contribute to making Luxembourg an attractive place to do business. The Tax and Legal groups of the BCC address key issues in their sectors to corporate and individual members through a number of events, and seek to raise awareness and influence decision makers as to the issues of concern to the BCC membership. 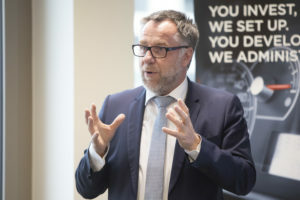 The purpose of the BCC Tax and Legal Newsletters is to provide additional regular bimonthly updates of key Tax and Legal developments in Luxembourg that may be relevant to your business. The present newsletters issued by member firms of the Tax and Legal groups cover the period from September-October 2018. If you deem that another person within your organisation should receive this email, please let us know. If you wish to unsubscribe please contact the BCC Secretariat by email to info@bcc.lu. Transposition into Luxembourg law of the european directive of insurance distribution: what are the changes? Please note: External links are selected when the BCC newsletter is sent. However, the BCC is not responsible for the content of external websites. The inclusion of a link to an external website by the BCC should not be understood to be an endorsement of that website or the site’s owners, products or services. 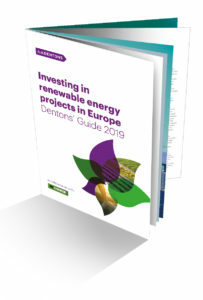 The guide highlights key regulatory developments and gives snapshots of the prospects for renewable energy projects in 20 jurisdictions across Europe and Central Asia. An error occured, please try again later.